The strength and versatility you have come to expect from Gorilla Glue is now available in an easy to use crystal clear non-foaming formula. 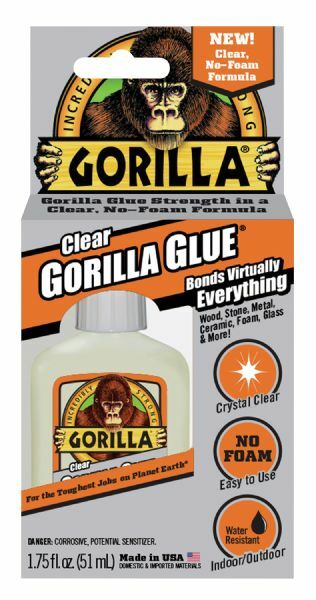 * Clear Gorilla Glue is incredibly strong and is ideal for indoor and outdoor applications and bonds virtually everything. 6.69" x 3.38" x 1.31"